Katherine Mathews of Kährs explores the benefits of engineered wood flooring, and the significant impact the right kind of flooring can have on a development. When designing and building a home, flooring is just one of many things to consider. 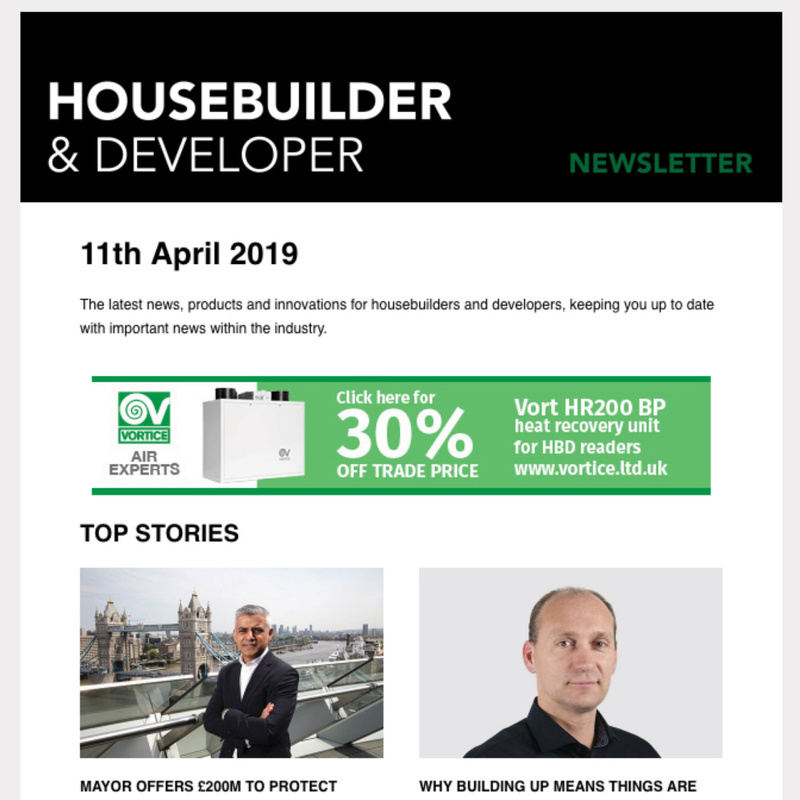 Housebuilders and developers need to consider how the floor interacts with heating, as well as the look of the floor, and perhaps most importantly, how long will the floor last? It’s important to make the right flooring choice at the start. With plenty of floor options available in the market, engineered wood flooring is a choice that will assure longevity and beauty for years to come in a new individual house build or development. With all of the benefits of a solid wooden floor (natural, hardwearing, beautiful), engineered wood flooring comes with plenty of its own benefits, for both a home’s builder and its occupants. An engineered (or multi-layer) format makes engineered wood a stable solution, and allows for either a floating or fully bonded installation, depending on the project and specific floor design. Underfloor heating systems can be installed under- neath engineered wood with a damp proof membrane, as long as the surface temperature of the floor does not ever exceed 27°C. This also offers more flexibility for interior design, as with underfloor heating there will be no requirement for bulky radiator systems. Being a natural material, engineered wood also carries the natural insulation benefits of wood – offering seven times better insulation than ceramic tiles. In fact, even walking on wood without underfloor heating will feel warmer than walking on laminate or vinyl designs. The options really are endless when it comes to the designs available in engineered format. Contemporary, minimalist designs with limited knots and colour variation are available for a sleek and modern interior style. 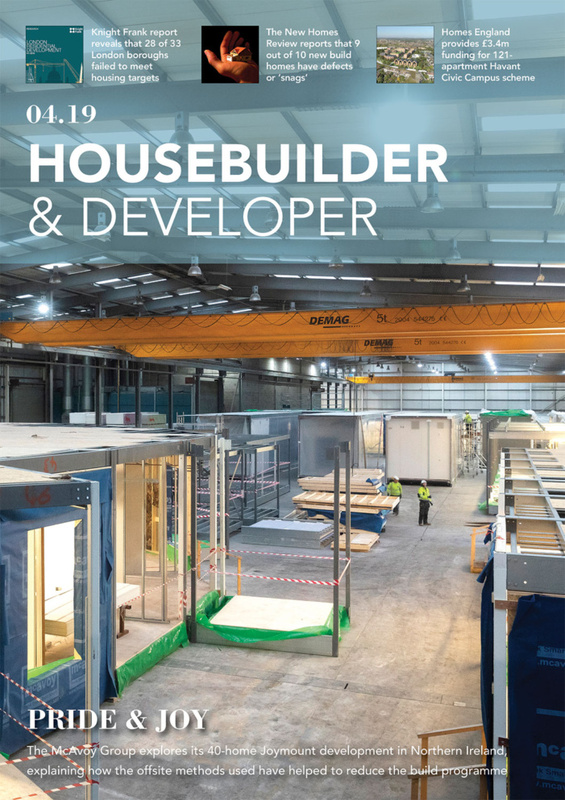 To fully embrace nature in a house or development, housebuilders may want to consider a more rustic design with plenty of natural knots and cracks, or even intricate handscraping and saw marks for an industrial feel. These expressive designs work especially well with other exposed textures such as brick or concrete. 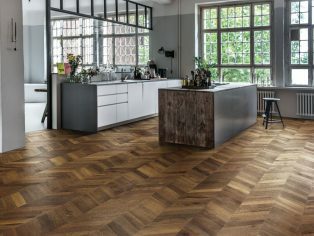 Cool greys, ‘Scandi’ whites, smokey browns and natural colours take the forefront, but there are also plenty of opportunities to create entirely unique colours with unfinished engineered wood designs that can be stained for a bespoke design, as well as easy-to-install patterned designs such as chevron and herringbone. A range of surface treatments are available, including durable and low maintenance matt lacquer and highly non-reflective ultra matt lacquers which give the look of newly sawn timber. These are very effective in a room with plenty of natural light, such as a building with floor to ceiling windows or large sliding doors. As mentioned, there are plenty of engineered wood designs available which have been finished with a durable, low maintenance lacquer. High gloss, satin, matt or ultra matt finishes can be chosen, depending on the desired sheen level. Currently, ‘mattified’ lacquers are often preferred due to modern interior trends, however satin lacquers work well with walnut floors, and high gloss lacquered designs can be show-stopping in the right setting. Once installed, no particular maintenance outside of a regular vacuuming and cleaning regime will be required for lacquered floors – ideal for developments. Dry cleaning is the best way to clean, although a well-wrung mop can also be used to clean the floor more thoroughly. Any dents or scratches from wear and tear later down the line can also be easily sorted with the use of a touch up kit, wood filler or meltable hard wax. If an oiled floor design is specified, an extra coat of oil will be required upon installation, and thereafter once yearly to keep the floor looking its best. Engineered wood floors tend to come with a long guarantee, for example up to 30 years, and will truly last for generations to come if looked after properly. Even when the floor has come to the end of its life, wood is entirely sustainable from start to finish, and can be efficiently recycled. With wood being the most environmentally friendly, and arguably the most beautiful and versatile flooring material available on the market, an engineered wood floor will look great in any residential project – from an eco-home to a large apartment development. 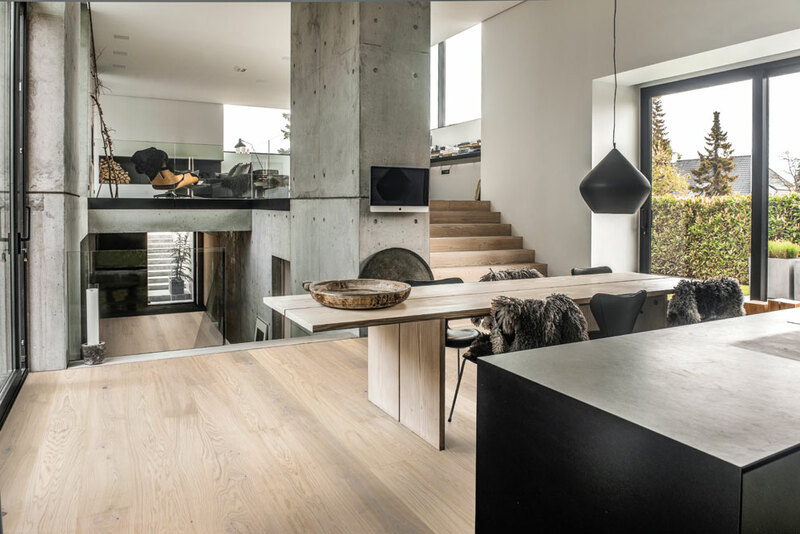 Wood gives warmth to the most minimalist interior, while enhancing the impression in a more traditional interior. 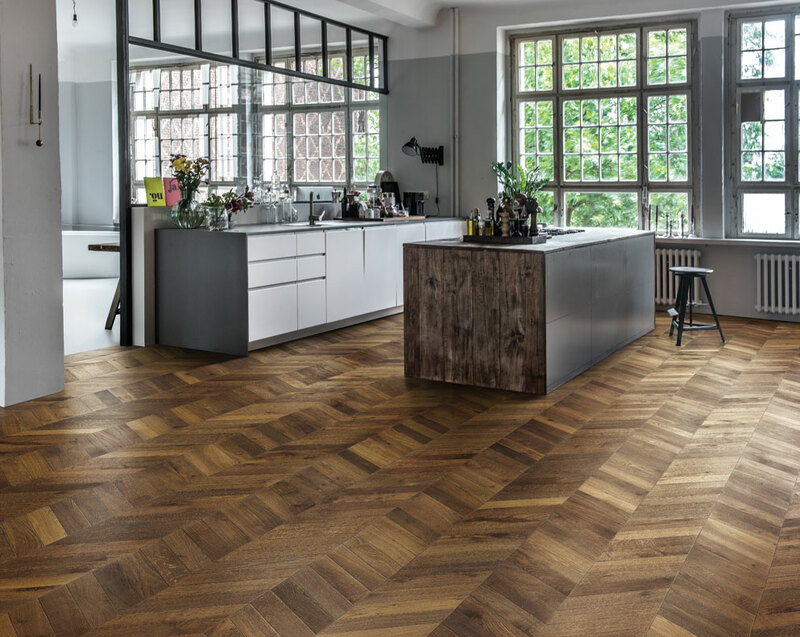 Whatever the size of the room or whatever the interior vision, there’s an engineered wood floor that will enhance the space, with a great variety of colours and species, sizes, patterns and finishes available, as well as great stability and being ideal for use with underfloor heating. As well as the above benefits, consider sustainability as the reason to choose an engineered wood design as the floor covering of choice for your next project.